Setting goals in any area of your life is pointless if you don’t have a plan. Without a checklist or to do list to follow you end up going around in circles. The same can be said for your fitness goals. Your fitness plan details exactly what you need to do to get the results you want. So many people fail to follow a plan and then they wonder why they’re not seeing progress. It doesn’t matter if you workout at home, outside, at the gym or all three, you need a plan. Check out the top reasons why you need a fitness plan below. Fitness plans are unique to each individual. 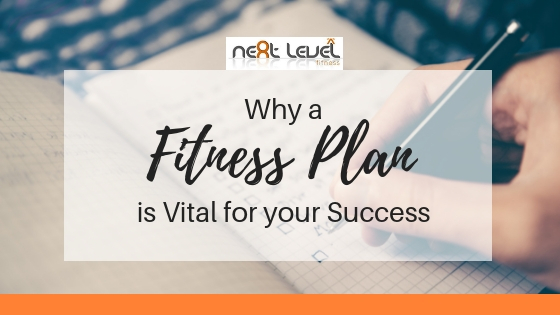 We all have different bodies and different fitness goals so it makes sense that you would follow a tailor-made plan. The plan that your trainer gives you will take into consideration what you want to achieve. You’ll know exactly what you need to do to get you where you want to go. If you’re just hitting the gym with no real purpose then you’re more likely to tackle your workout all wrong. You might end up spending too much time doing cardio and not enough weight training. You might also overtrain certain parts of your body while neglecting others. Without any structure to your workouts you run the risk of wasting time deciding what to do next. So instead of knowing what you need to do and acting on it you end up pacing around the equipment, chatting to other gym-goers and heading off home without making any real progress. As I said already, without a plan you have no real structure or purpose to your workouts. Following a fitness plan is great because it will change every few weeks. This will bring in something new when your body starts to adjust and it will also stop you from getting fed up of doing the same thing again and again. We’ve already established that following a fitness plan will stop you from overtraining. Many people push themselves way too hard in the gym because they think that they will progress much quicker. But it doesn’t work like that. Overtraining increases the risk of injury because your muscles and joints are put under immense strain and they’re not given time to recover. A fitness plan won’t involve overtraining. It will give you the right amount to do so that you can progress safely. © 2018 NEXTLEVEL FITNESS. ALL RIGHTS RESERVED.